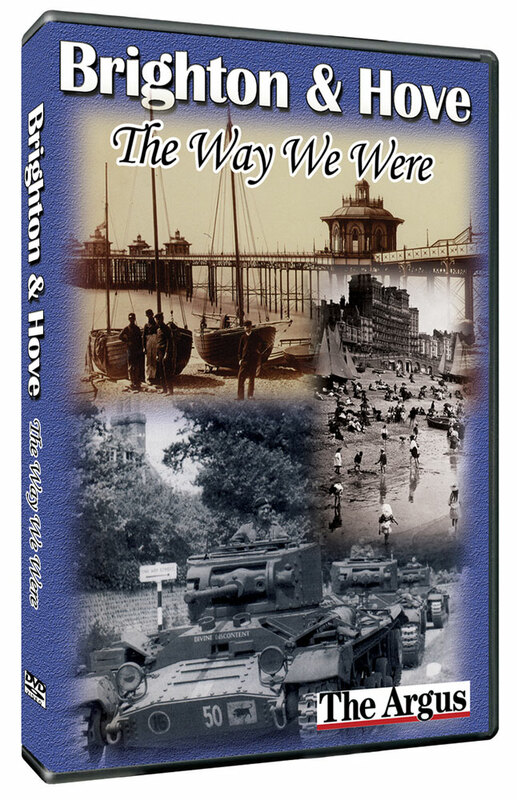 This DVD tells the story of Brighton’s transformation from a small fishing village to a fashionable Regency resort. It reveals how the coming of the railway changed the area again to a playground for London’s masses. It looks at conditions in the slums that blighted Brighton until the 1930s. It recollects the opening of the electric tram network, its decline in favour of trolley buses, and the very first London to Brighton car rally. It recounts the outbreak of violence known as the Battle of Lewes Road during the General Strike and recalls the effect of two World Wars on the residents of Brighton and Hove. Finally it shows some of the area's unusual efforts to reclaim its spot as the country’s premier holiday resort in the 1950s. 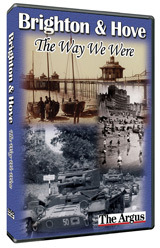 The period is brought to life with contemporary reports from the archives of the Argus, a wonderful selection of old photographs, and a fascinating collection of unique cine-film.